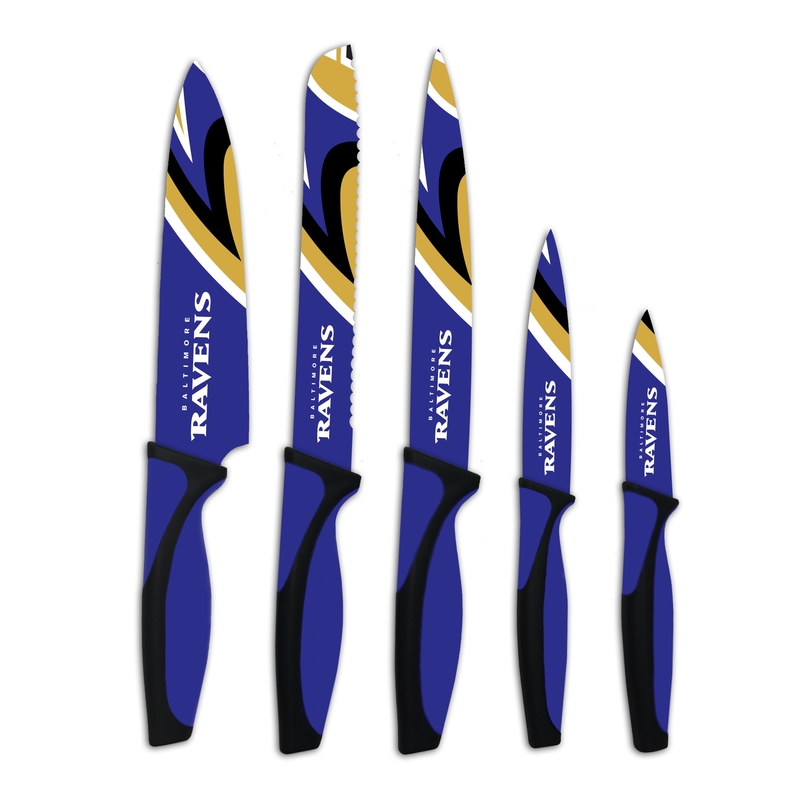 Score big at your next tailgate or game party with the Baltimore Ravens Kitchen Knives Set of 5. 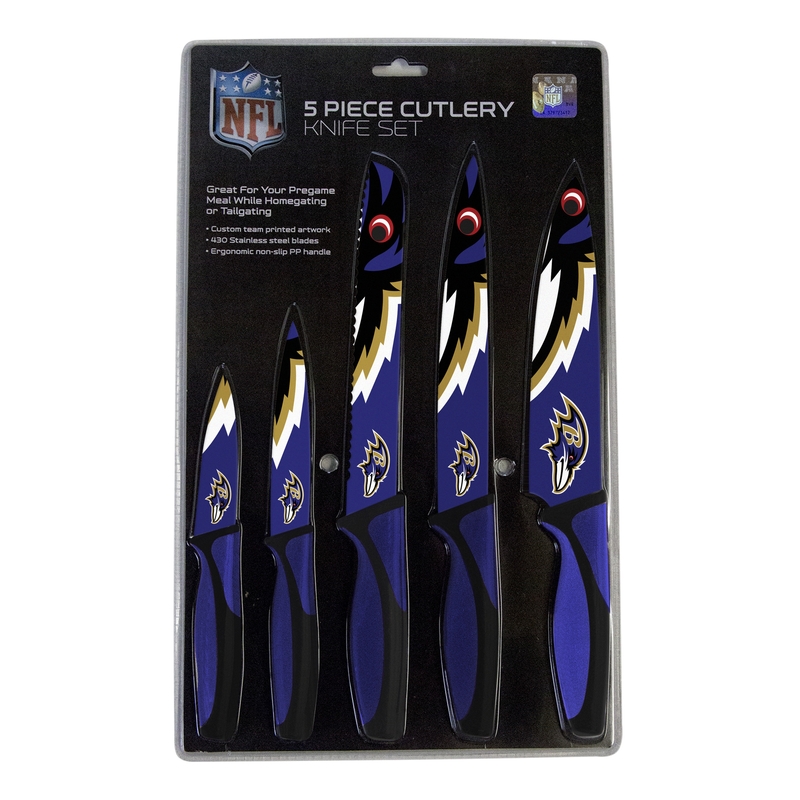 This cutlery set is officially-licensed by the Nfl and the perfect gift for the Ravens fan in your family or circle of friends. 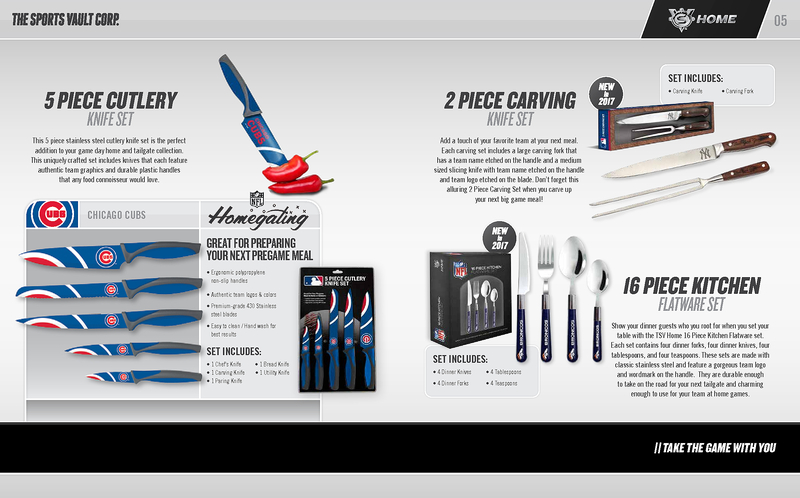 Each Baltimore Ravens Kitchen Knives Set of 5 includes a bread knife, utility knife, chef's knife, paring knife, and carving knife. They feature custom Baltimore Ravens team artwork and mascot. For safe operation, the knives are designed with polypropylene handles, which prevents slippage and simplifies cleaning. The blades are forged from ultra-reliable stainless steel. Each knife within the set has passed all food safety testing. 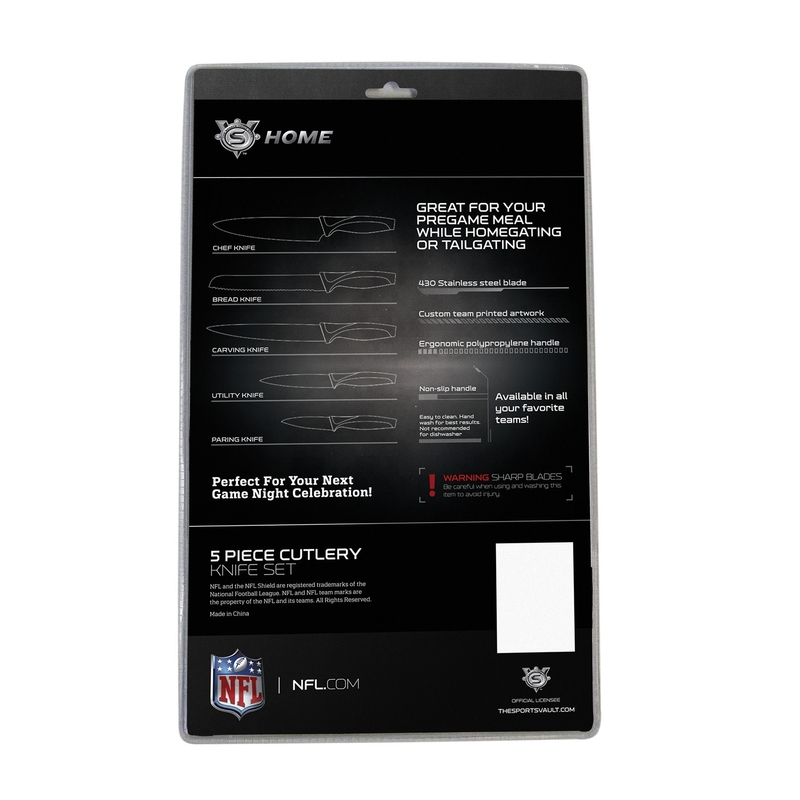 Get in the game and order your Baltimore Ravens Kitchen Knives Set of 5 today.